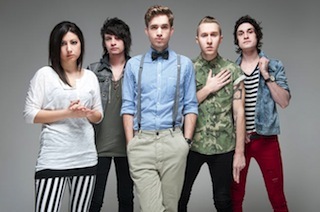 The Summer Set have released the deluxe edition of their 2013 album, Legendary, which can be streamed in its entirety below. The digital deluxe reissue features a collection of B-sides from the Legendary sessions, plus an alternate version of "Lightning In A Bottle," which was self produced by John and Stephen Gomez from the band. You can purchase the deluxe edition of Legendary digitally via iTunes.